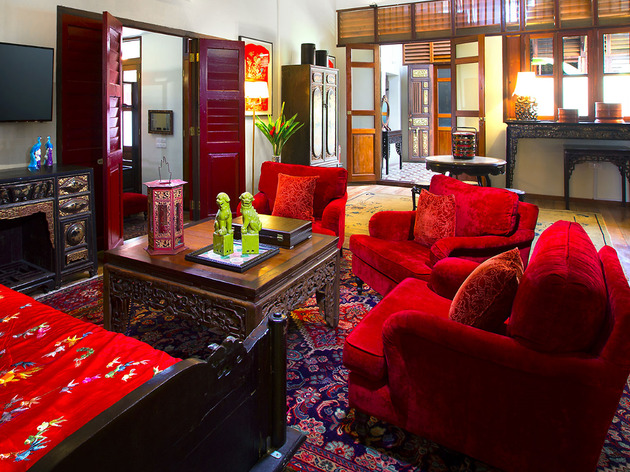 This boutique hotel made up of seven Anglo Chinese terraces is a joint effort by award-winning hoteliers Karl Steinberg and Christopher Ong. 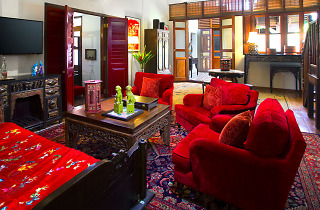 In addition to an open air courtyard, Seven Terraces boasts of a swimming pool and a Nyonya restaurant called Kebaya Dining Room. Stay in the Argus Apartment (maximum five pax), the Stewart Apartment (maximum five pax) or the Terraced Duplex Suites (maximum three pax), all of which are furnished with four poster beds and ornate gold leaf furniture.